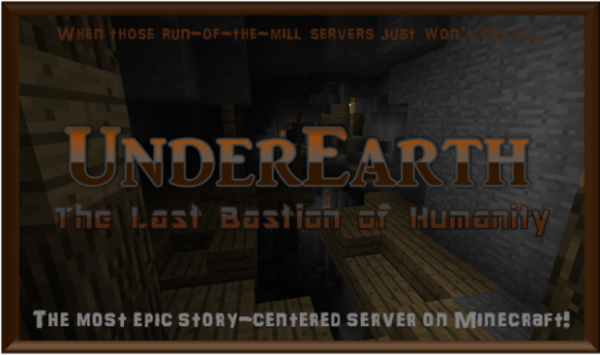 UnderEarth the Minecraft server is no longer running. Thank you to those who were with us while the server was in it's enivitable eight-month death spiral after it's creation. That is not what I want this server to be. Quite the opposite. 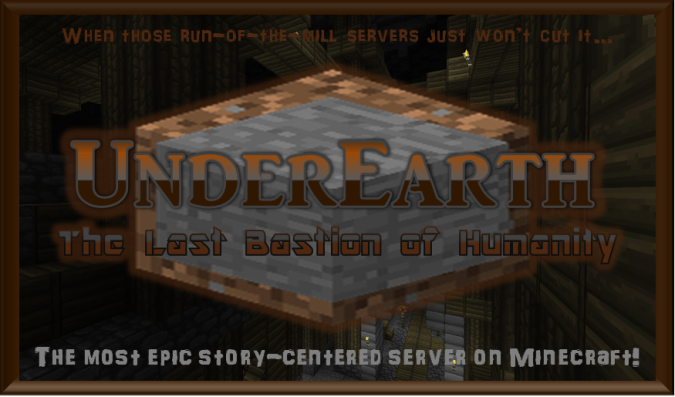 UnderEarth is a server where every aspect of the game is underground-- players will never be able to ever go above ground, as the lore of the setting states quite clearly (More on lore later). 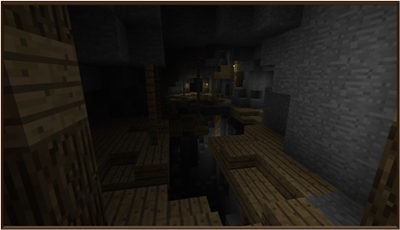 Players will have to find a way to mine, hunt, build and survive in a hostile underground world. There will be many pre-made locations created to give players plenty to explore. Over time, more and more locations will be made. In addition to this, there is also NPCs, Quests, Events, and more to give the world as much depth and sense of discovery as possible! The server will be oriented mainly on light-RPing and adventure/survival. There will also be a currency system for players to use to buy items from the proper NPCs and shops, as wells as from other players. Since this will all take place underground, towns will be very, very important and many players will want to choose their own town to be citizens of. Some NPCs will give quests, some will talk and give the player information or more backround on the story and setting of the world, among other things. Explore the epic caverns and settlements scattered throughout the vast, hostile depths of the planet! Earn currency, fight mutated beasts, chart the hidden regions of the last bastion of humanity! It is 2061, forty years since "The Great Impact" encumbered Earth into it's present state. Those many years ago, a massive radioactive meteor struck Earth, and in minutes, enshrouded the planet in a haze of dust. Billions died. All life on the surface was estinguished... but under the surface there were survivors. ...his fears were untrue. Humanity would live to fight another day... but for how much longer? Server news, events, updates, and word of development progress! Organized earliest to most recent. May 14th; The Server won't be released for some time! We're currently working on installing plugins. After that, we're going to begin building the very first of the three regions. After it's mostly done, we will launch the server! Woohoo! May 15th; Things are looking awesome! We've managed to find our fourth team-member, and now we're beginning construction and installation of plugins for real. XD I can't wait until this is all done-- it may, quite litterally, be the most awesome server in Minecraft! May 22nd; Things are looking absolutely amazing, and we're starting on, basically, the first location of the New Arc. Technically the Old Arc entrance was the first, but I digress. We're starting on making the Logo and the Banners, and after we have a bit more done, we'll make even more banners and start on the official videos and pictures. Woohoo! I estimate the server will be nearly ready for play in two weeks or so, maybe even sooner if we work often! May 22nd; Due to SniperBrob's quick but admittedly careless "TNT-Nuke" tactics to clear out more space for construction, parts of the server have been destroyed, which initially caused me to freak out, again, admittedly, way too much. I assumed there was a griefer that infilitrated the server, but it was a false alarm. This could set us back a week though, as we make repairs. SniperBrob needs to learn to be more carfeul-- nearly gave me a heart attack! May 24th; We're starting to slow down as far as actual construction, but we've started expanding UnderEarth in other media very quickly! 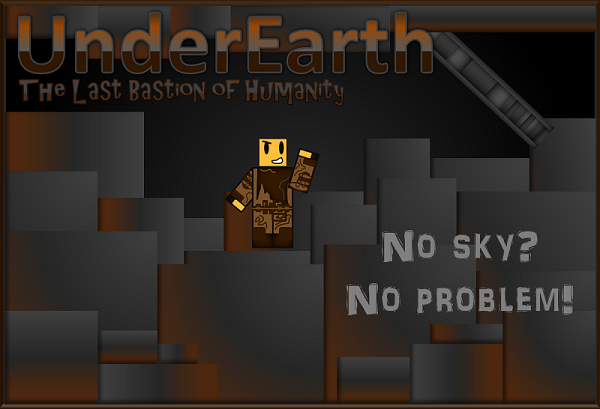 We already have two UnderEarth introduction videos (Posted on Youtube by our very own SniperBrob, and now, after a very long time, I've figured out how to add pictures to the forums so now UnderEarth has it's own logo! It's not perfect, but you can bet I will perfect it over time. I also plan on adding videos, pictures, and more of the server on the front page of this thread for everyone to see soon! Stay tuned! May 31st; After adding our great new team member, Apotheophobic, the storyline and setting ideas are progressing much faster! Apotheophobic is an excellent new addition to our team, and he will be assisting with his indispensable story writing skills, to help write for adventure, setting and plotline ideas! The good news never ends-- we have an official banner now, too! Show your support and spread the word for UnderEarth by adding it to your signature! Keep checking back on the UnderEarth news once in a while, too, as I will inform you of updates in UnderEarth's development progress! June 1st; Ahh, the beginning of a new month. So much new to do, so much new to see. Well, I haven't exactly started the month off well though. This morning I found myself to be signed out, which is odd because I never sign out because It's more convenient. I tried to sign back in, but it didn't work. After about an hour of panicking, I found myself to be mysteriously signed back into my account. Odd. Lets just hope that in the future this doesn't happen again! Who knows, I may be signed out for good! June 12th; The construction of Grand New Arc City was fast at first, but now the UnderEarth team is experiencing a major drop in momentum. 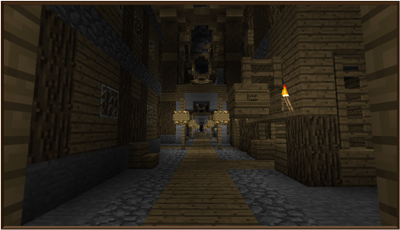 Right now we're caught up on finishing the Slums, which have needed finishing for about a week. Don't worry, after that, Grand New Arc City doesn't have much left to go! After a few more major areas are built there, we'll be ready to start on expanding the world of UnderEarth so there is much to explore! We'll be making branching caverns, bridges, mineshafts, roads, and all these will lead to different settlements, full of stuff to explore! After all that is done, which I estimate may take around two to three more weeks, we'll be ready to launch! Of course, even after the server's launch, we'll continue to constantly make awesome updates and expand the world even further so you never run out of caverns, towns, and forts to explore. W00T! June 27th; Most of the UnderEarth team has been away on vacation for quite a while, so not much has been done. I apologize for the delays, but only one of us are working at any given time and it is really cutting into our goal for our ideal release time. Since I do not assume the staff members will be back for a while, I've decided to hire a new builder for the UnderEarth team! If you think you have amazing building skills, please to do not hesitate to apply! Just show me a few pictures of things you have built, I will review them, and then if they are good enough you'll be ready to help build the coolest server in Minecraft, ever! June 30th; I am sad to announce that our awesome host, islanderon, can no longer host the server. I commend him for hosting the server and faithfully aiding with it for two months, but unfortunately, things have come up in his life and he does not have the money to continue hosting for UnderEarth at this period. As a result of this, production may be delayed for quite a while until we find a new host. If you are trustworthy, intelligent, and you can host UnderEarth, please send me an application message! July 23rd; After a MASSIVE period of time in which I lost my account, I'm back, and better than ever because now we have our host, the team is back and ready to roll, and I'm about to buy the video game Dead Island! Woohoo! Well, maybe the last part was a bit off topic, but putting that aside, we are back on track and we're looking forward to getting back to developing the coolest, most action-packed, awesomest, most story-driven Minecraft server ever! July 28th; I'm sad to announce that one of our long-time development team members, Narolas, has not responded in a long time and I believe he has quit. Narolas's profile information shows that he is still playing Minecraft and still actively using the forums, so it is sad to see that he very well may be moving on to something else. Who knows, maybe once UnderEarth is done he'll come back. We'll wait and see. August 1st; Narolas has come back! It's unclear whether or not he's here to stay with us and continue to shape the epic world that is UnderEarth, but all that aside, it's just simply amazing to have him back. Ahh, bliss. August 8th; The UnderEarth team is going all-out now! Production has all but skyrocketed, and everything is looking simply awesome. For those of you just joining us, we've been working on the starting town called "Grand new Arc City" for the past two or so months. After we lost our epic builder, Narolas, we lost an incredible amount of momentum and almost came to a halt. Since then production has never been as fast as it was those early days that we had him, but it is starting to pick up and the apporpriately named city of epic proportions is nearing completion! From here, we will be heading out to make branching roadways and tunnel networks, as well as add some random houses, caves, and platformign segments along the way to make travel exciting and fun, unline the tediousness of travel in other servers. After that, it's of to make the last few settlements-- don't worry, these will be made quicker. For the last bit we will install all the cool plugins we've been itching to have. After that... it's launch time! August 16th; There is now an offical UnderEarth Twitter! Follow for news of server events and developments! August 23rd; There has been a big rift on the team as to when we should launch, and many things have not been done to my satisfaction. Though, I guess the project is no longer fully in my hands, nor is it solely about how I envisioned it anymore. I suppose that despite that I think UnderEarth will not soon reach the potential I originally dreamed it to reach, and I remain as stubborn as I've always been to create it in the image I created from the start... I know I will still love how it all turns out. Thank you, community, you've been great! We'll be 100% officially totally completely launching soon! August 28th; UnderEarth is now in an Open Beta! Apply on the Official UnderEarth Forums now so you can experience Minecraft's most epic adventure to date! Remember, we have not added gameplay yet, so please do not complain about the luck of fun in the server as of now. The Open Beta is purely so our fans that have long-awaited a sight of UnderEarth will be able to experience this amazing world first-hand! September 13th; The server has admittedly been completely out of my hands for the past month or so. I have no control how anything goes, and I have no leverage to get anyone to listen to me or have things changed to be how I originally envisioned them to be. I'm very frustrated, but I just hope that in the end I can get this mess sorted out and, though I've almost completely lost my original team of friends that I loved so much, have UnderEarth turn out to be the epic world that I dreamed it would be. And who knows, maybe my friends will come back when they see how far UnderEarth has come and how sucessful it has been. For now though, everything is in bad shape. But I won't give up; UnderEarth has been through so many rough times before, so frequently and in such severity, that I know it'll get through this and come out even stronger than before. September 22nd; Just as the drama with my team has cooled down and we are finally at peace, my great grandmother has died and is finally at peace as well after struggling with going in and out of dreams she woke up to think were real and losing much of her memory. This is where I say typical sappy "Reminds you how precious and short life is" stuff. Basically, love your family while they're around. Thats all I've got. September 29th; It's time-- UnderEarth needs it's own Plugins and maybe even Mods! UnderEarth as you know it is already captivating and epic, but I believe we could add even more immersion and bring the world of UnderEarth to life like never before! Keep watching for updates! October 1st; Garbage9x3 continues to run the server without me and ignore my input completely, though I desperately want to be friends with him again and put UnderEarth back on it's track to greatness and make my dream come true. Nearly all of my original friends have left the project and ignored me completely, and I fear UnderEarth will not get back on track unless Garbage9x3 talks to me. For all intensive purposes, at the moment, I have absolutely no control over the server, and I can only hope Garbage9x3 will be my partner again. Cross your fingers. October 11th; I'm not at all going to give up on this; I'll keep checking in with you guys, but you have to realize my point of view; would you be cheerful and enthusiastic and be very active and participative in a project that was basically taken out of yours hands and distorted completely from the vision you had of it when it would be finished? It appears that Garbage9x3 has sucessfully ignored all input from me for a month so I think there is little hope of my ideals becoming reality any time soon, unless he acts on this. I suppose I should do the mature thing and officially relinquish my position to Garbage9x3, since it's been apparent that I have not been in control at all for the past month and I might as well stop pretending my input or ideals have any effect. It's not like the creator of UnderEarth's ideas matter, right? Besides, if it comes to me fufilling that dream or letting you guys have fun, I suppose it just wouldn't be right if I took my position again and basically tried to fix the past month's worth of crap that I'm not happy with just because I don't like it. I want you guys to have fun, and if this is how you want UnderEarth to be, I'll let it stay that way. I'm just saying, the server isn't exactly amazingly popular or professional, and I just believe that if things went back to the way they were before all of this, then maybe UnderEarth could reach it's full potential, my stated dream. I've been mincing words and being gentle, not doing anything too rash about the situation, but it was enivitable for this to come to the bluntness I am now exhibiting; Garbage9x3 took the server from my hands. My creative vision is essentially destroyed and my work is worthless unless Garbage9x3 becomes my partner again. He is ignoring all my input, thus contacting him to make amends is impossible if he does not hear what I have to say. You guys don't have to feel pity for me; maybe my "artistic views" are irrational and childish. But isn't it those same artistic views that created UnderEarth in the first place? I ask you to dig deep and think of an answer to this problem that has become so clear. So, I need to call a vote. Should I relinquish my position to Garbage9x3 and become a normal player, or should I keep trying to find friendship and reason in him again? October 27th; Being the creator of UnderEarth, maybe it is unreasonable to ask that I can have a say and a part in what happens to my creation. But perhaps it's not too unreasonable, then, to at least get to know what is happening to it? I just ask to be informed on the happenings of UnderEarth occasionally. Creating UnderEarth lost all its joy for me months ago, considering those months ago I was forcibly stopped from being a part of it's development. Now I just want to see what is happening to it, and what I can do, if anything, to improve or influence it in any way possible for the better. Is that unreasonable? If it is, let me know. Extra extra, read all about it! Get your copy of the UnderEarth Chronicle today! Read about story events and developments as they progress! Are you an UnderEarth fan? Show it by sending us your own custom fan-art, (it can be of any media) and if it's good enough we'll post it right here on the official UnderEarth topic! Don't worry about credit; your forum username will be posted under your art! Ahh, I Love the Smell of Adventure in the Morning! That sounds awesome, I would be happy to help you out wen you start. 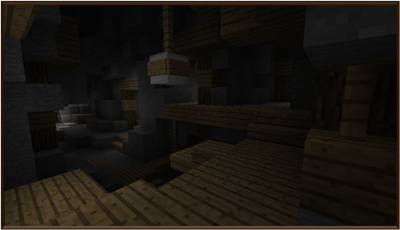 I could help you make a underground spawn and stuff. Just PM me the server IP once you have started it :biggrin.gif: I am a great builder! I am also very nice, helpful and mature. Edit: Wow, the server has came far since this post LOL. P.S. Did you come up with that story line, because it's really, really good. It's almost seems like a plot of a movie. Yes, I did write the plot line. I'm glad the 30 minutes I spent writing it was worth it. XD Oh, and 1UpDudes, your Nether Gate idea is awesome, but it doesn't really make sense for the fiction. I'll try to find a realistic way to incorporate it into the setting. Well good job on the story line, it's awesome. This server idea has a lot of potential. IT NEEDS TO HAPPEN! Lol. How do I add pictures to this forum thread? I made a logo for UnderCraft before I even started the very first post. Oh. 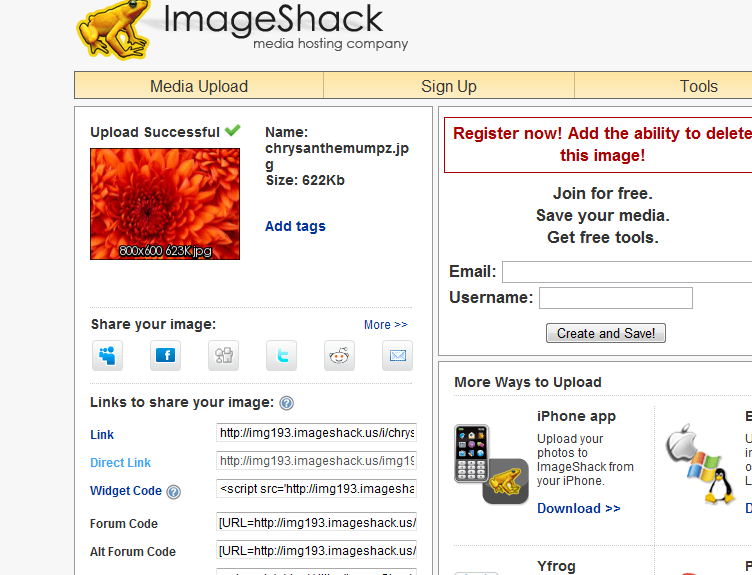 But what do you put in the "Imagelinkhere" part? How do I put an image into an image searcher or whatever? Like Google Images or something. And if I did, would people have to click on a link to see the picture? I want it to just be already on the page. Cool concept of always being underground. Too bad there's so many mods tossed on. Copy the link were it says "Link"
It won't work for some reason. The picture just shows up as a red "X" in a box. Hmmm, I don't know dude, it should work, if I think of something I'll tell you. Ha ha, have no fear, I've thought of EVERYTHING. Seeing is it that it is entirely underground (as the name suggests), resources will be harder to obtain. I assune the economy will be mostly farm and ore driven, since ores will be much easier to obtain but food and wood (farmed items) will both be extremely valuable and necessary to survive. Wait, are you having problems uploading the banner to that website I showed you or are you having problems posting it here after you uploaded it? If you are having problems uploading it, you could send the file to me and I'll upload it for you. Speaking of which, does anyone want to host the server? I have no idea. Man, I'm still hoping for a host though. I've tried to figure out how to host, and I can't do it. I also think for a dedicated server it costs money. If I could find a server host I really trust, maybe I could bring this server to life. Until then, I'm just clinging on, hoping to make sure people don't forget my idea entirely before it's created. I won't forget, it's to good of an idea!